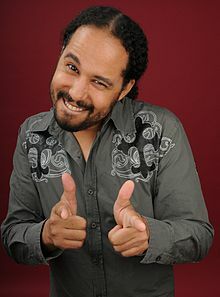 Keith James Ferguson (b February 26, 1972) is an American stand-up comedian, actor, voice artist, and comedian. He is well known as the voice of Blooregard Q. Kazoo (or "Bloo" for short) on the Cartoon Network animated series Foster's Home for Imaginary Friends. Wikimedia Commons has media related to Keith Ferguson. This page was last changed on 31 August 2017, at 05:31.